Bearskin Airlines Website - Sencia Canada Ltd.
“The Bear” Bearskin Airlines serves 12 flight destinations in Ontario and Winnipeg, Manitoba. They provide the best flight connections of Northwest Ontario with Northeast Ontario with Thunder Bay acting as their major flight hub, main office location, maintenance and pilot base. Bearskin Airlines wanted a new look that would make their website stand out. They wanted users to be able to view their content and booking information easily from any device and also encourage visitors to interact with them through their newsletter “Bearmail” and their social media pages. 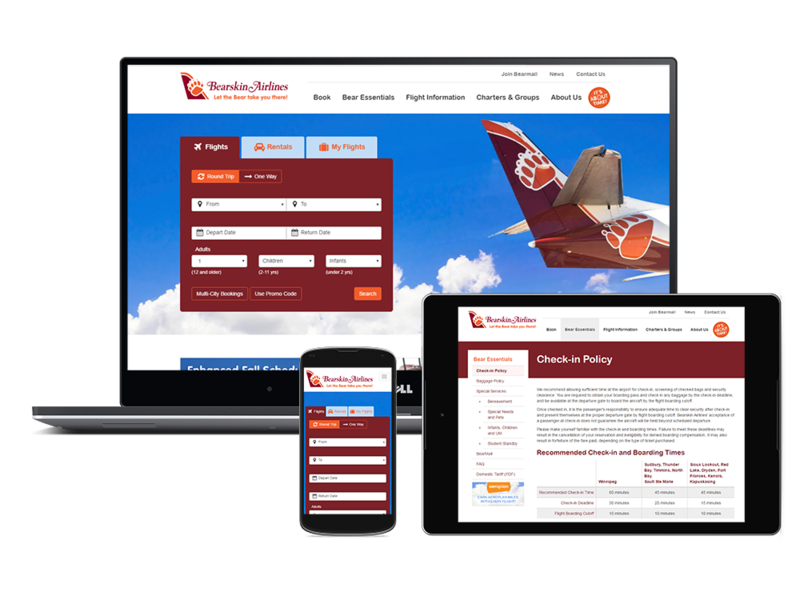 Sencia’s programmers integrated Bearskin airlines preferred flight booking system into their new website while our designers worked on designing a website that would suit their needs and highlight their flight sales and promotions. We worked together to develop solutions to drive visitors to key areas; flight booking, promotional, contest, bearmail and social. 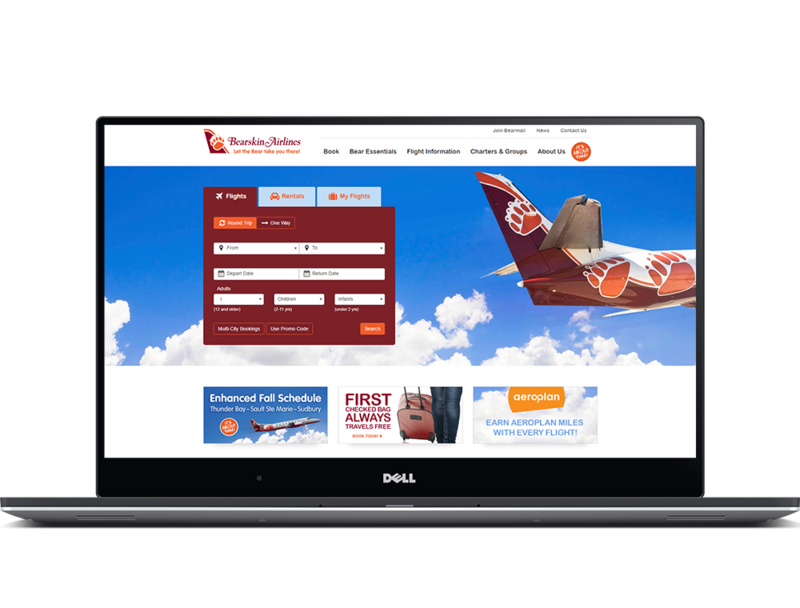 The redesigned Bearskin Airlines launched October 2015 as a fully responsive website available on any device. Users can book flights right from the main page, learn about contests and promotions and sign up for their “Bearmail” newsletter. The website also features an interactive route map which lets users visually connect various flight routes to and from select destinations. 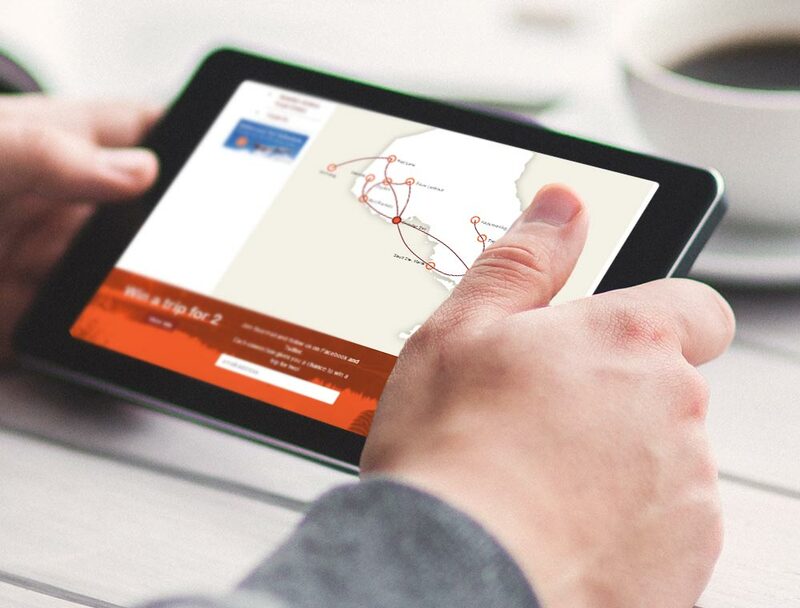 "The route map is a really cool feature that helps give you a visual idea of how your flights are connected."